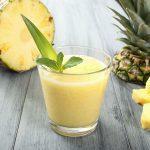 Pineapple Desserts: Make This Healthified, Copycat Disney Recipe! If you’ve ever had Disney’s pineapple dole whip, you know it can be addicting! The same can be said for that delicious pineapple upside down cake. While neither of these pineapple desserts is particularly healthy, we thought we could come up with a copycat recipe that’s healthier and satisfies your taste buds. Many people think that since pineapple is a fruit it’s a great ingredient for making all sorts of pineapple desserts. While pineapple itself is a fruit filled with fiber and vitamins, pineapple desserts that have all those added sugars aren’t very healthy. That’s why pineapple upside down cake is touted as a “healthy” cake just because it has lots of fruit. The same can be said about Disney’s pineapple whip. It’s loaded with refined sugar. This recipe cuts the sugar content in half and uses raw honey instead. Ditch the cake and refined sugar and try this refreshing recipe instead! Don’t forget to freeze (at least 4 hours) your pineapple chunks first before making this yummy dessert. Learn how to make this recipe with Maria. Click here to see more of Maria’s recipes. Combine all ingredients in a blender or food processor, and blend until creamy. Taste for sweetness, and adjust. Enjoy immediately, since this will be the consistency of soft serve. If you have leftovers, pour into an ice cube tray. You can blend it again at a later time (add a bit of pineapple juice or extra milk or water, or let it thaw a bit before blending). I love to share my love of food and cooking with the people around me. My food philosophy is great ingredients plus simple techniques make delicious meals. I do not believe that food needs to be complicated or time-consuming. This is how I cook for families and parties, and it is also how I teach my cooking classes. I always tell my students that I made lots of mistakes in the kitchen so that you can learn from them. My cooking classes are held around the Orlando area. 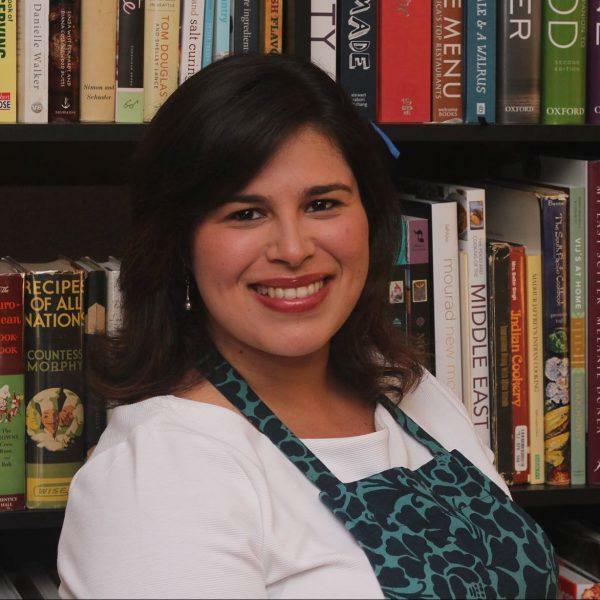 I am also available to come to your home for private cooking classes or team building events.